Equip Auto has officially launched its 2019 edition and explains that this next staging of the show will revolve around 3 strategic priorities. These are : The traditional ecosystem of automotive aftersales, the digitalisation of automotive services, and the new practices of after sales professionals. Following his re-election as chairman of the French Vehicle Equipment Industries (FIEV), Jacques Mauge, the chairman of the trade show, welcomed more than 400 representatives of the automotive aftersales sector in July at a gala evening to unveil the planned show. Following a 2017 edition representing the first phase of the exhibition’s revitalisation strategy, this event was the occasion to officially launch the 2019 edition of Equip Auto 2019 and reassert its ambition to establish itself as the imperative international trade show for aftersales and services for mobility. The tyre sector will benefit from a new focus at th next staging and another new feature expected at the 2019 show is Mondial Tech. The latter is a trade-only space dedicated to the future of transport and mobility. 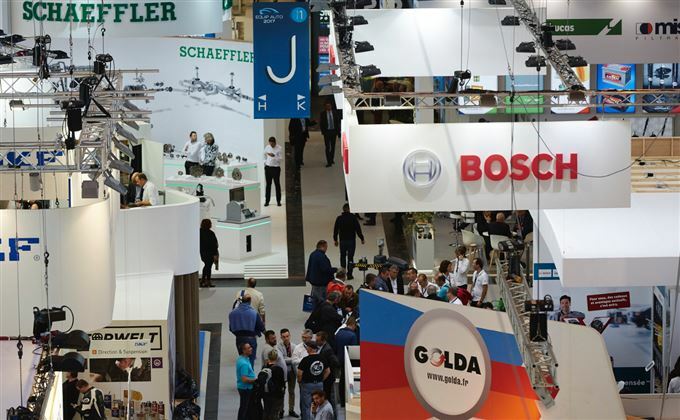 It organisers assert that The 2019 show will constitute a coherent whole, ranging from original equipment to aftersales, and will offer new opportunities for the development and dissemination of all projects dealing with the chain of mobility.